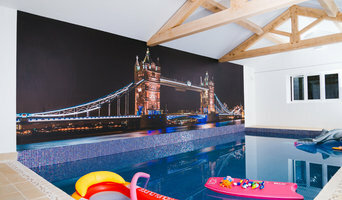 Vista Digital been involved in bespoke wall coverings and onepiece wall murals for the past 25 years. Over the years we’ve constantly improved our products and techniques, utilising the latest digital technology. Delivering stunning high quality products that were easy to install are at the core of everything we do. Our aim is to provide both domestic and commercial customers with unique wall coverings they are proud of. Our design and production facilities are based in the North West of England, and all of our products are printed here. We source our materials based on their quality and sustainability and do not import any cheap products from China. We’re able to offer a full range of paper finishes right up to commercial grades suitable for use in high traffic areas such as restaurants and pubs. We work closely with the Dulux Training Academy to deliver training courses on our product range. These run at the Dulux Training Academy in Slough and also at select venues across the North West of England. We’re continually on the look out for ambitious and skilled decorators who are keen to improve their services by becoming Vista Digital select partners. Contact us for more information. We have over 4 generations of wallpaper printing experience, and are proud to be producing all of our luxury wallpapers at our factory in Lancashire, in the North of England. We’re a family owned business, remaining true to our heritage by manufacturing with the same printing techniques and machinery used by our ancestors. We celebrate and embrace the skill and craftsmanship that goes into producing collections that will delight and inspire beautiful interiors. All wallcoverings are non woven (paste the wall), which makes them easy to hang and easy to strip from walls, whilst all our inks and papers are environmentally friendly. Specialists in producing top quality, made-to-measure wall murals for homes, businesses and commercial locations. Dynasty Wallcoverings offer a unique printed wallcovering service to the contract and leisure markets. We also produce high-quality wallcoverings for residential projects too. 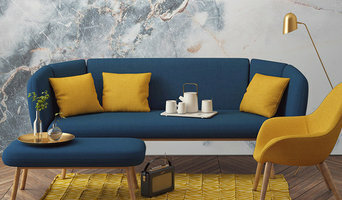 We produce wallpapers and wallcoverings for hotels, conference rooms, offices, spa's, bars & restaurants, cafes, shopping centres, retail outlets, health care and hospitals, sports stadia and much more. These high-quality wallcoverings meet all architectural and interior design specifications and Dynasty Wallcoverings personnel can boast of many years experience within the interior décor industries. Any design or image can be printed onto several substrates but for the leisure and healthcare markets we recommend using the following: Our Seamless wallcovering: Produced in one complete piece (up to 3.2 metres high by 15 metres wide). Tough, waterproof, opaque and extremely durable it eliminates joins giving a perfect wall finish. Because it has no joins there is no possibility of contamination getting through and is also easy to clean. As it’s so robust it’s ideal for areas of high traffic and is very popular in healthcare, hotel, bar, restaurant and leisure projects. It also contains no vinyl making it extremely Eco-friendly. Contract width vinyl (1300mm wide): Our non-woven fabric backed vinyl has a rating of Class 0 & 1 as defined by the building regulations of 1991 and comply to BS476 Part 7, which makes them particularly suitable for all contract and commercial projects. It is a paste the wall product using a ready mixed strong vinyl adhesive. There is no need to buy or store stock either as wallcoverings are printed the size to fit your wall or produced specifically for your project. For unique projects, such as boutique hotels, museum exhibitions or retail outlets, individual designs can be created and produced to clients exact specifications on all substrates, including grasscloths, silks, micas and foils. 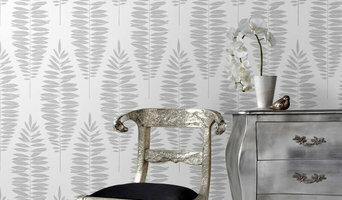 For residential projects Dynasty Wallcoverings can offer both murals and patterned rolls. The designs can be printed on a substrate to suit your project, for example, we have matt surfaces, parchment style surfaces even a beautiful silk substrate! Minimum order is 6 rolls. We are a friendly company always ready for a chat (and a coffee!) to discuss your project and offer our recommendations! Schier endlos scheinen die Möglichkeiten bei der Auswahl der Farben. Die Farbenhersteller unterscheiden zwischen Innenfarben und Fassadenfarben, doch daneben gibt es noch eine Hülle spezieller Grundierungen sowie Lacke und Lasuren. Neben Farben ist die Tapete der zeitlose Klassiker für die Wandgestaltung. So groß wie die Auswahl an Mustern, Motiven und Materialien ist ihr Einsatzort. Ob Kinderzimmer, Wohnzimmer oder Schlafzimmer – überall machen Tapeten eine gute Figur. Bei Houzz finden Sie Ihren Tapetenhandel in Liverpool, Merseyside, UK sowie exklusive Tapetenhersteller mit einem Riesen-Sortiment an 3D-Tapeten, Fototapeten oder klassischen Wandtapeten. Fachgeschäfte und Showrooms beraten Sie vor Ort zur Auswahl der Tapetenmuster und berechnen, wie viele Tapetenrollen beim Tapezieren benötigt werden. Darüber hinaus finden Sie bei Houzz auch jede Menge Shops, um Farben und Tapeten online zu bestellen. Wandpaneele sind eine tolle Möglichkeit, um glatt verputzte Wände aufregender zu machen. Bei Houzz finden Sie zahlreiche Hersteller, die Ihnen helfen Ihnen die richtigen Wandbeläge in Liverpool, Merseyside, UK zu finden. Besonders beliebt sind Wandverkleidungen aus Holz oder Stein. In einem kahlen Wohnzimmer sorgen Holzpaneele oder Steinoptik für ein gemütliches und natürliches Ambiente. Entdecken Sie innovative Hersteller zu der Oberflächengestaltung und den Kosten für. Außerdem kann Ihnen Ihr Experte hilfreiche Tipps geben, welche Paneele zu Ihren Wänden passen. Oft vermitteln die Hersteller Experten, die Sie mit dem Anbringen der Wandverkleidung beauftragen können – ihre Wände erstrahlen dann im Handumdrehen in einem neuen Glanz. Suchen Sie auf der Seite mit allen Experten gezielt nach einem Fachgeschäft für Farben oder einem Tapetenfachhandel in Liverpool, Merseyside, UK. Um die besten Händler und Adressen zu finden, können Sie den Radius in der Umkreissuche verfeinern. Durchstöbern Sie die Profile der Hersteller und Unternehmen und speichern Sie inspirierende Beispiele in einem Ideenbuch. Lesen Sie die Bewertungen und Empfehlungen anderer Kunden, bevor Sie einen Experten kontaktieren.